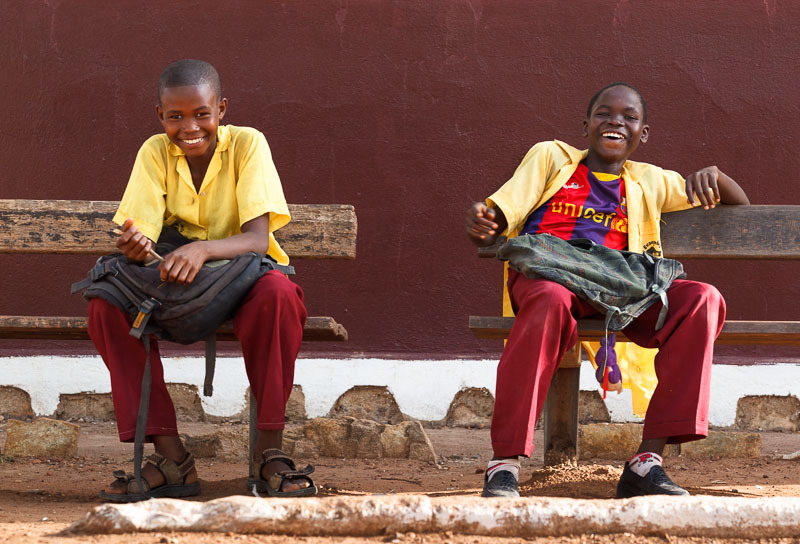 Two schoolboys from the town of Bangui in the Central African Republic (CAR) tease the photographer in French. Happy and carefree like kids around the world, these boys may not be old enough to remember the nation’s crippling civil war that finally ended in 2007. One Bible translator was forced to flee from his home during the civil war and hide away in the bush with his family, but he kept working on the translation for his language – Gbeya. He worked in a concealed shelter for 5 months and when it was finally safe to go home he had completed the whole book of Genesis. Francis says, “I knew that God had given me this work to do. Whatever the conditions in my life, this was my work.” Read the full story on wycliffe.net.